Home / News / INDIA: Use of torture to extract confession, anyone surprised? INDIA: Use of torture to extract confession, anyone surprised? The latest news by the WikiLeaks claims that India has systematically used torture to extract confessions and has allowed its armed forces to resort to brutal human rights abuses like extrajudicial executions and disappearances to instil fear, and thus control the population in the state of Jammu and Kashmir. The report asserts that the International Committee of the Red Cross (ICRC) was concerned about New Delhi’s despicable tolerance of the issue and that the government practically did nothing to prevent torture and has consistently condoned it. The lack of action by the government and the impossibility of the government soldiers to be investigated or punished for engaging in torture has contributed in no less terms towards the alarmingly high number of extrajudicial executions and disappearances in that state, the leaked wires claim. Torture, extrajudicial execution and disappearances are no news to Indians though. The diplomatic wires leaked by the WikiLeaks and the sudden news value it has attained in India and abroad is similar to someone expressing surprise after hearing that the earth’s shape is very close to that of an oblate spheroid and not a perfect sphere. The Asian Human Rights Commission (AHRC), AHRC’s national partners, as well as other civil society groups in the country and aboard have been contenting for years, with sufficient proof, that the practice of torture and encounter killings – a euphemism for extrajudicial executions in India – is consistent and widespread in the country. During the past six decades, the practice of torture and the number of encounter killings have only increased steadily and it never showed a tendency to decrease. The AHRC has analysed this issue, and has been arguing that torture is used as a tool for social control in India. The AHRC has contented that similar is the state of affairs in other South Asian states like Sri Lanka, Pakistan, Bangladesh and Nepal. 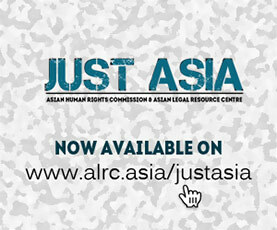 In fact more than 80 percent of AHRC’s human rights interventions on its engagement in South Asia is against torture, all of which is available at http://humanrights.asia The AHRC has consistently argued that the widespread use of torture in the region is the result of the failed domestic institutions, in particular, the police, prosecution and the judiciary and hence is the central deficit in realising human rights in the region. The AHRC has been drawing the attention of national governments as well as that of the international human rights community to this issue, and has been consistently urging the international community in particular, to work with the national governments and the civil society in the region to address this perennial issue, without which there can be no visible improvement to the protection, promotion and fulfilment of human rights in the region. Concerning India, the AHRC has reported, in the past six years, more than 500 cases with meticulously documented details, including names, dates, places and even affidavits of victims of torture. Each of these cases, reported through the Urgent Appeals programme of the AHRC, has been reported to the Government of India, the respective state governments and the United Nations’ Special Rapporteur on Torture calling for an immediate intervention and necessary action. The AHRC has reported when the elected representatives and the law enforcement officers in the country have publically stated that they believe in torture as an effective and necessary tool for crime investigation. The national media has reported at least a dozen incidents in the past 36 months where uniformed police officers where documented torturing suspects in full public view. The AHRC has consistently argued with evidence, that today torture in India is not a mere tool for crime investigation, but it is more often used for extracting bribes, that it promotes corruption, is used for silencing political dissent and to instil fear in the population. The AHRC has argued with proof that torture is most often used against the poor and members of the minority communities. The Supreme Court of India, over the years and on several occasions, has held that the practice of torture is widespread in India and the Court has repeatedly ordered the government to take remedial actions to contain it. The National Human Rights Commission and the short-lived National Police Commission has recommended the Government of India that unless the police is trained and equipped to discharge their responsibilities, that meets the operative standards of a civilian service in a democratic state, the police will continue to use torture as a crude tool to meet their ends. Yet, the government of India has done nothing to address the issue so far. The farcical approach of the Government of India concerning this serious issue that has made disastrous dents upon the very notion of democracy in the country is evident from the 242-worded law that it passed in the lower house of the Indian Parliament – the Lok Sabha – this year and claimed it to be the law that would suffice the need of the time and will enable the country to ratify the United Nations Convention against Torture and Other Cruel, Inhuman or Degrading Treatment or Punishment (CAT) and is thereby equipped to end torture in India. The AHRC’s analysis of the issue is now available in its most recent issue of Article 2, which is available here. In states like Chhattisgarh and Orissa, where the national government as well as the state administrations are engaged in countering modern India’s product to the region – the Naxalites – resulting out of the despicable neglect of the needs of its rural population, the police as well as state sponsored private militia like the Salwa Judum, are engaged in widespread use of torture with impunity. Conditions in Manipur and Jammu and Kashmir is the several folds multiplied effect of the same nemesis, where the Indian armed forces, armoured with the statutory immunity provided by the Armed Forces (Special Powers) Act, 1958 is in operation. It defies commonsense and insults intellect to expect a government that has done practically nothing to prevent torture in rest of the country where it has to fight no armed insurgents, not to allow its armed units stationed in Manipur or Jammu and Kashmir to practice torture or murder civilians. Those who are from these states, including human rights defenders who have dared to speak against the government, have faced the wrath of the Indian administration. Internationally acclaimed human rights defender and lawyer, Mr. Parvez Imroz, from Jammu and Kashmir is yet to be allowed to travel outside India, since the government has denied him a passport. Human rights defenders in Manipur are afraid that they would be arrested, tortured and even murdered at the behest of the central government or the absolutely corrupt state administration, should they dare to speak about torture or about state-sponsored murders. Environmental activist and human rights defender, Mr. Jiten Yumnam, in Manipur was arrested last year and charged with a fabricated case registered under the non-bailable provisions of the draconian National Security Act, 1980 only because he has been vocal against corruption within the Manipur state administration. Jiten was arrested from Imphal airport, while he was preparing to travel to New Zealand to participate in an international human rights consultation. Yet, in response to the WikiLeaks news, the government of India has officially responded that torture in India is its internal affair. The government spokesperson has claimed that the government views the news as not serious enough to make a detailed response. Indeed this is expected. It is the same response of the government whenever it is questioned about yet another brutal form of human rights violation practiced in India, caste-based discrimination. What the government fails to admit is that discrimination has never been an internal affair of India, though India still has a caste-enslaved population estimated to constitute 20 percent of the country’s population, unable to free from this brutal social and structural evil. Neither are torture or extrajudicial executions, issues remote and irrelevant, to remain as a miniscule family feud between Indians. These are crimes having universal jurisdiction, that today, the rest of the world consider these crimes as crimes against humanity. If the arguments advanced by the government of India are to be accepted, by condoning apartheid, India was interfering in South Africa’s internal affairs and thereby breaching international law. India could also be held responsible for violating state sovereignty and international law for participating in the UN intervention in Rwanda. Lt. General Shiva Kumar, the third and the last Force Commander of the United Nations Assistance Mission in Rwanda could be then held for leading an international invasion of Rwanda. A government that condones caste based discrimination, or torture or extrajudicial executions disserve only contempt. Any government that obstructs the punishment and prevention calls for global humiliation. Its leaders can be prosecuted and punished if they travel to civilised jurisdictions. Or is it that the government of India believes that Indians are not human. Conversely, is it that the government of India that is inhuman?